Xerox model sheet of Taarna. 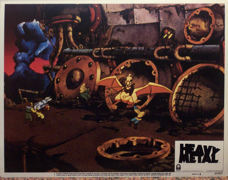 Heavy Metal Studio Lobby Card. Color model cel of the villagers from the Taarna Sequence. Production cel and effects overlay of the mechanical eye. Production cel of the mechanical eye. Animation drawing of Taarna’s bird. HEAVY METAL 1981 Small Drawing of Den Running. Production cel of the young Taaraknian girl presented on a color laser background. 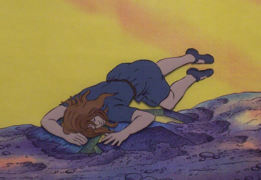 HEAVY METAL 1981 Production cel of the creature covering his eyes as the orb glows. Production cel of the attorney looking on as Captain Sternn questions the witness. Presented on a color laser of the production background. HEAVY METAL 1981 Beautifully Shaded Drawing of the Creature from the Den Fight Sequence. 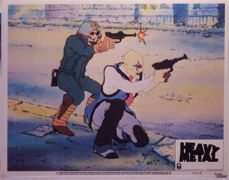 HEAVY METAL 1981 Production Cel of the Bartender Presented on a Color Laser Background from the Taarna Sequence. 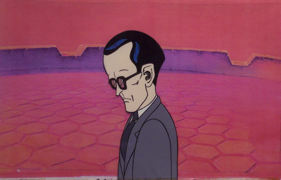 Production cel of Dr. Anrak presented on a color laser of the production background from the ìSo Beautiful, So Dangerousî sequence. 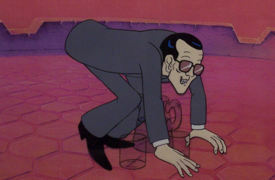 HEAVY METAL 1981 Animation Drawing of Edsel from the “So Beautiful, So Dangerous” Sequence. 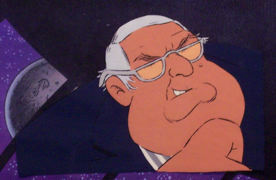 HEAVY METAL 1981 Animation Drawing of Rudnick. Ref. #A-15. HEAVY METAL 1981 Beautifully Shaded Drawing of the Creature from the Den Fight Sequence. Note: Shading was Painted as Da-Glo Colors. HEAVY METAL 1981 Animation production drawing of Ard. Den Sequence. HEAVY METAL 1981 Drawing of Taarna After She is Cut by the Barbarian Leader. HEAVY METAL 1981 Production Drawing of Taarna’s Bird as Seen from Above. Huge Image! 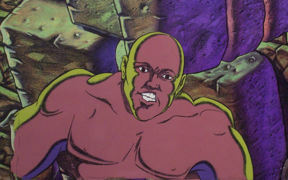 HEAVY METAL 1981 Animation Drawing of the Mutant at the Bar. Ref. #FR-16A. HEAVY METAL 1981 Animation Drawing of Taarna in Full Battle Clothing. From the Rotation Sequence. Ref. #249. 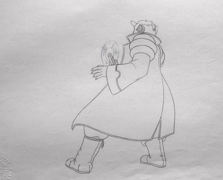 Animation Drawing of Taarna’s Bird Walking. Ref. #B-43. HEAVY METAL 1981 Animation Drawing of Taarna Walking Right. Ref. #T-1. 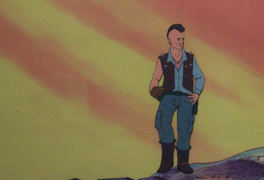 HEAVY METAL 1981 Animation Drawing of Rudnick. This Piece has the Heavy Metal Crimp in the Paper. Production cel of the B-17 pilot just before the Loc-Nar melts his skin and he becomes a skeleton. Presented on a color laser background. 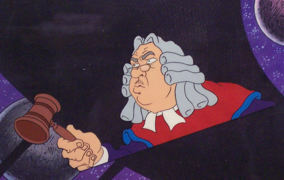 Production cel of the judge lowering the gavel during the trial. Presented on a color laser of the production background. 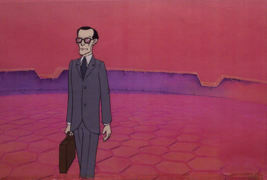 Production cel of Den presented on a color laser of the production background from the Den sequence. Production cel of the Red Haired woman from the Harry Canyon Sequence. Presented on a color laser background of the interior of Harryís bedroom. 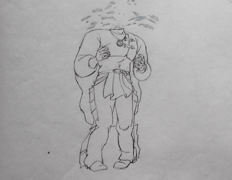 Animation drawing of the beheaded mutant. Animation production drawing of Taarna. Great close up image. 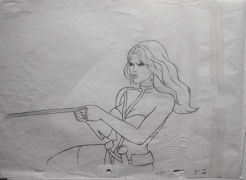 Animation Drawing of Taarna as she raises her sword to defend herself from the Mutant Leader. 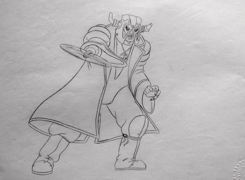 Animation drawing of the Mutant Leader. 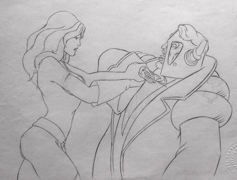 Animation drawing of Taarna and the Mutant Leader during their battle. 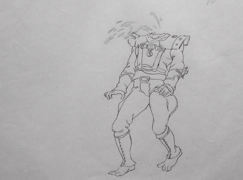 Animation drawing of the decapitated mutant. 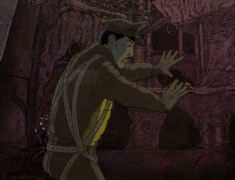 Production cel of the villager before being mutated by the Loc-Nar.